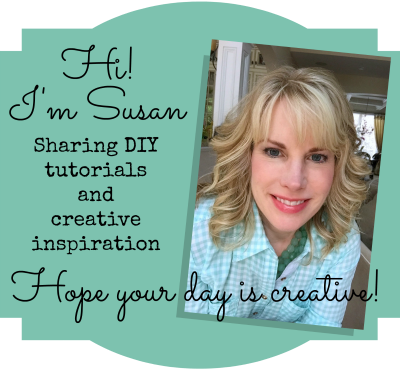 I’m hard at work on my summer Boardwalk Party and I am loving these Carnival/Boardwalk Cupcakes! 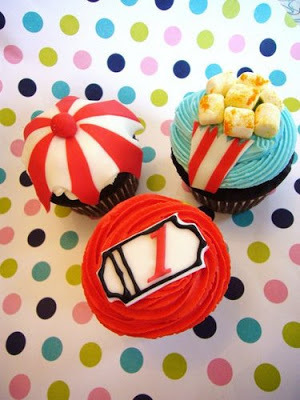 Peanuts, popcorn and cotton candy…these cupcakes are so adorable from House of Sweets. 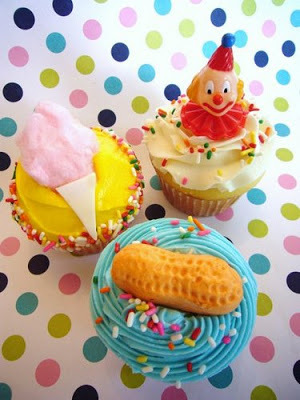 Let’s not forget the clown cupcakes too! 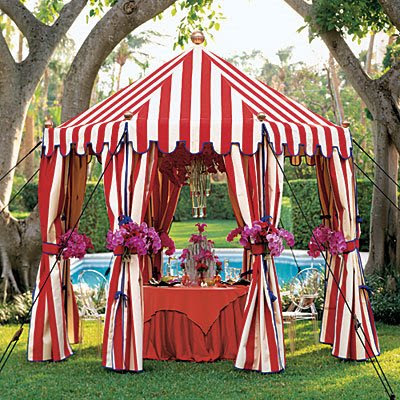 I wish I could get this tent for my party…I’m just loving it. Picture from Southern Accents.